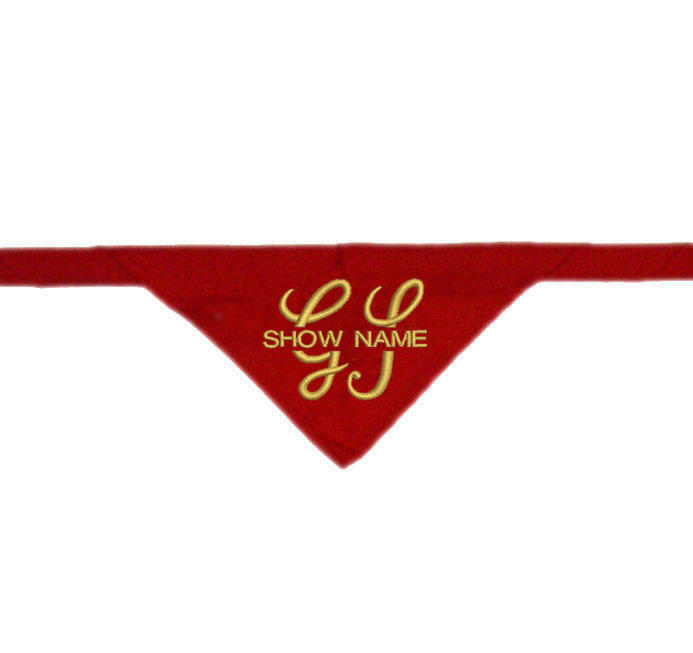 A plain scarlet scarf embroidered with the 'GS' logo to the point, with your Gang Show name through the middle of the GS. Please provide the show name that you require to be embroidered. Please note: These scarves are for Gang Shows to order, they are not available for individuals.